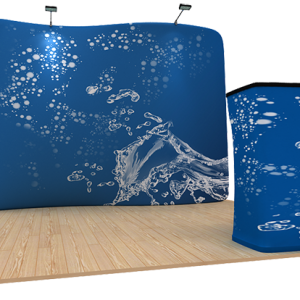 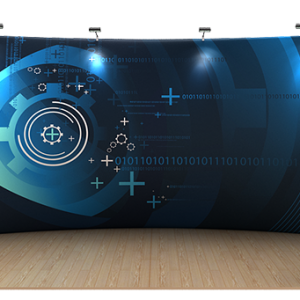 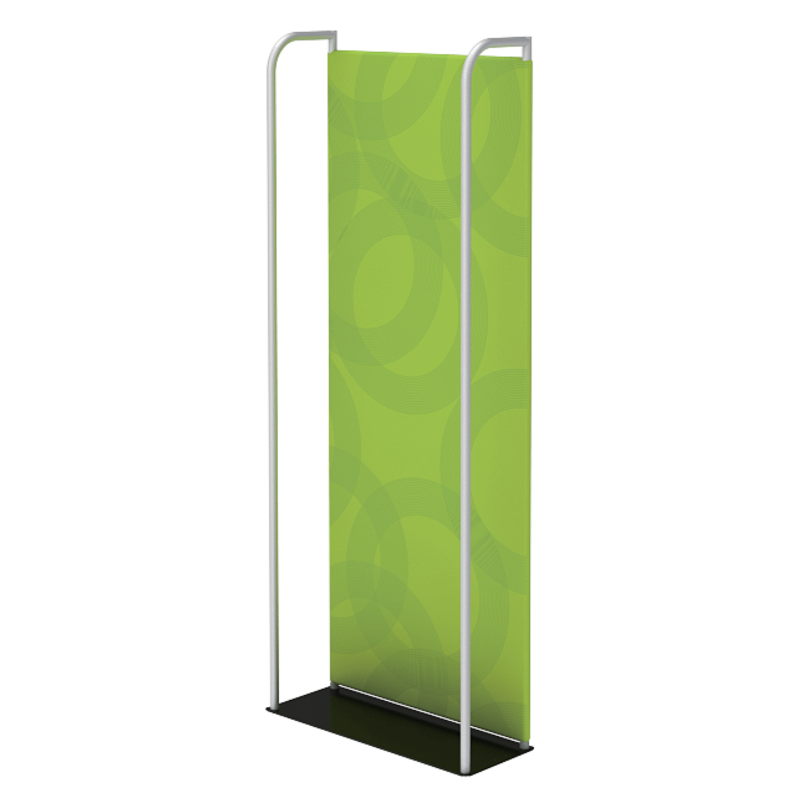 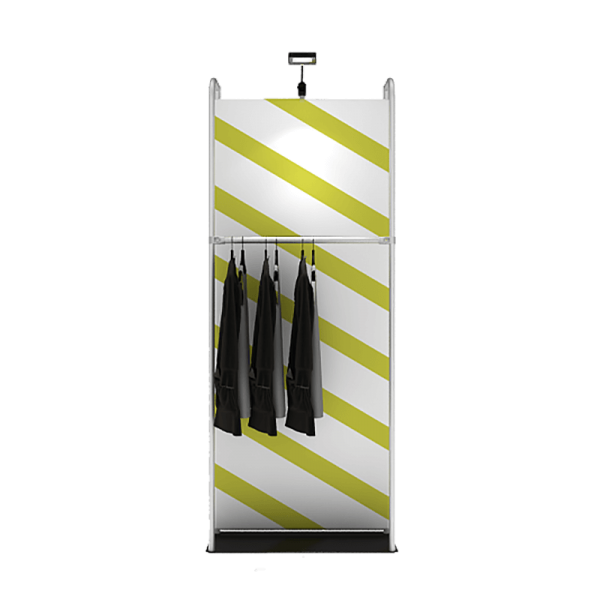 Our Waveline® Merchandiser is a new sleek product that is a variation of our Waveline® Bannerstand. 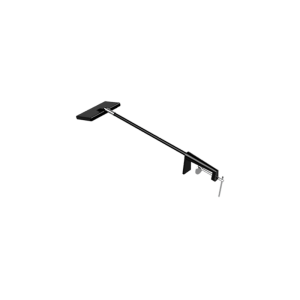 This multifunctional unit is made with lightweight aluminum making it very easy to set up and transport. 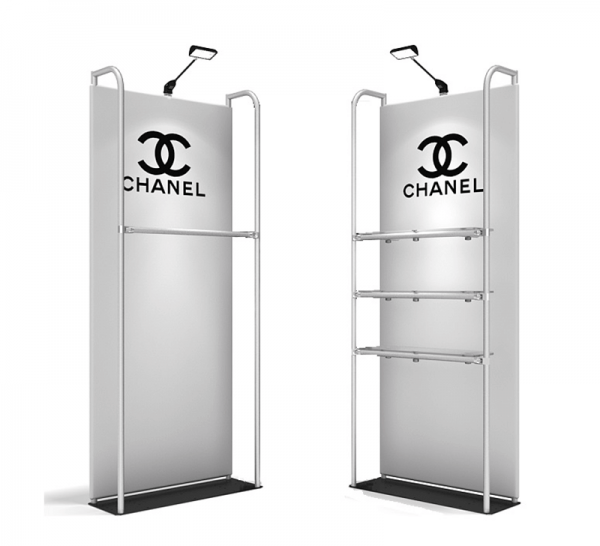 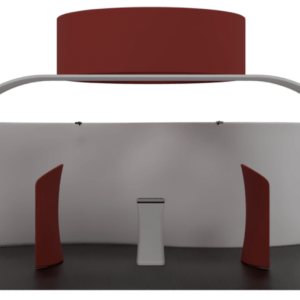 The Merchandiser is covered with our durable polyester fabric and has square corners with slits in the top to connect the shelving support poles. 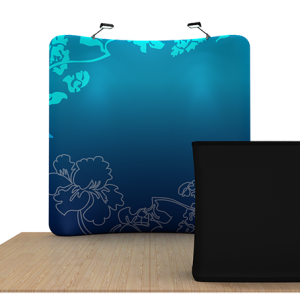 Combined with our brilliant color dye sublimation graphic, we can convey whatever message you desire. 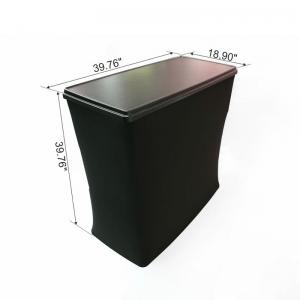 The versatile base allows shelves and catalog holders. 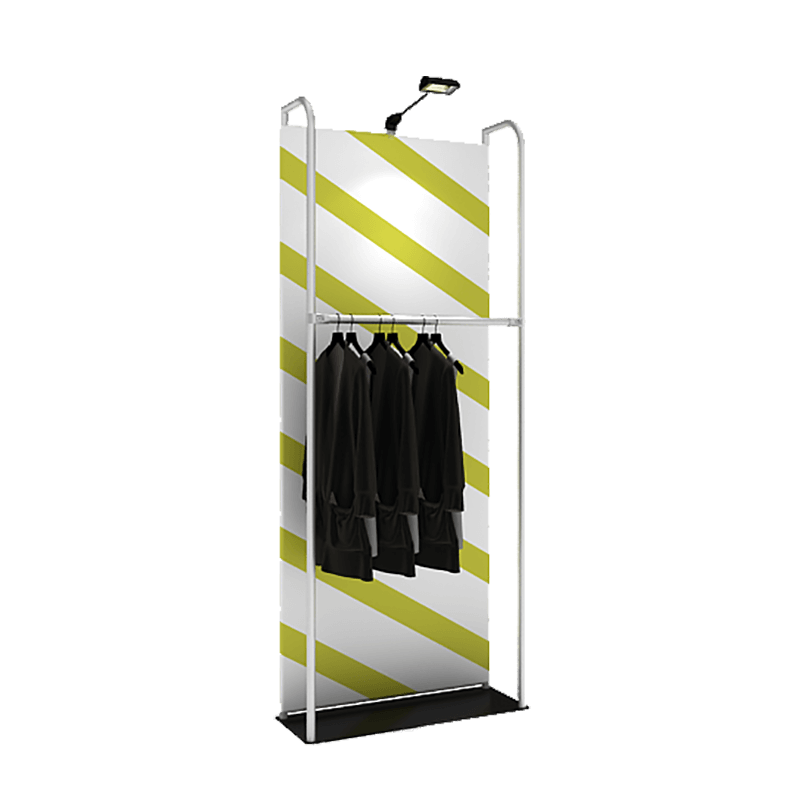 This display can be customized to have shelves, garment racks, or an Ipad stand.